I have a problem with the Colorado River toad invading my yard. My dogs are attracted to them and get sick for days if they bite one. I know these frogs have some kind of lsd toxin but my dogs don’t get high. The vet says this can kill them! 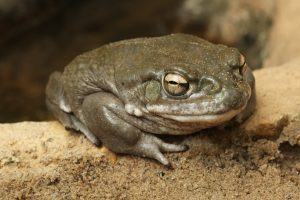 Colorado river toad (Incilius alvarius), also known as the Sonoran desert toad. Wild life animal. The Colorado River toad, also known as the Sonoran Desert toad, is the largest native toad here in the states. They can grow to 6+ inches and will release a milky toxin from their parotoid glands when touched or handled. This toxin can cause a range of reactions to people, pets and other mammals ranging from simple nausea to death. If you have river toads nesting in the yard, safely remove them while using rubber or surgical gloves. Next, spray them directly with PEST RID SPRAY and place them in a holding container so you can relocate them at least 2 miles away. Of course destroying them is a viable way to get rid of them as well. 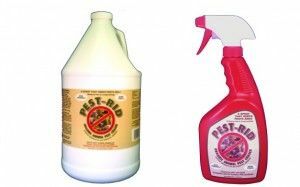 Once the yard is clear of all toads, apply PEST RID GRANULES to any known nest location and spray the granules with the Pest Rid Spray. Next, place granules in the yard where you’ve seen river toads resting. This could be under a bird feeder, around a pond or along a stream. River toads will hang out around lights foraging on insects at night so if you have accent lights on the ground, be sure to treat around each fixture. Once the granules are in place and sprayed, let them sit for one week. This will ensure nesting toads you missed will leave. After one week following the initial treatment, set up a barrier around the yard by laying out the granules along property borders where toads can enter. The granules will cover 250 liner feet per lb so our 2 lb jug will treat 500 linear feet and should be applied every 2-3 months. 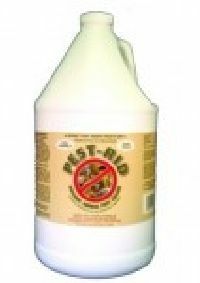 Remember, its CRITICAL THAT YOU SPRAY OVER THE GRANULES WITH THE PEST RID SPRAY! The granules by themselves do not contain much of the active. But once treated with the liquid spray, they’ll absorb it and in turn, keep the scent active for 2 months or more. For this reason using the granules will make sense since the spray alone will only last 3-4 weeks. That being said, if you have toads on a deck railing or where you can’t apply the granules first, use the liquid spray by itself as it will work fine. The only “tradeoff” is that won’t last as long as granules embedded with the spray. Plan on treating 125 sq/ft per quart of spray. And the quart jug comes with a spray top included so its ready to be used. 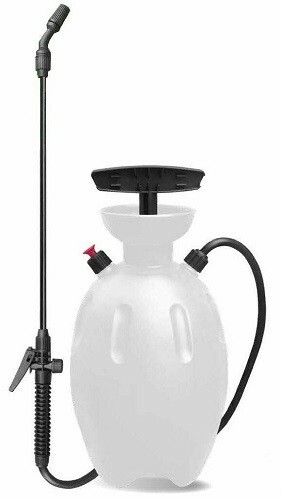 The gallon jug will cover up to 500 sq/ft but will require a TRIGGER SPRAYER to pump it out. 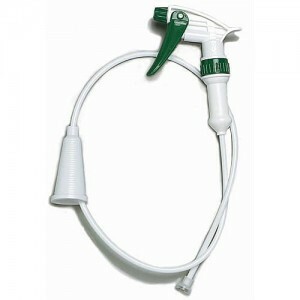 A good PUMP SPRAYER can also be used. For a more “permanent” solution, install our heavy duty SCREEN BARRIER under open fence rows or identified entry points. This heavy diamond mesh plastic can be cut to long lengths and when kept 1 feet or more above ground, will keep out foraging toads. Plan on burying at least 6 inches into the ground. We have the screening in 50 foot long rolls and its 4 feet “tall”. So lets say you have 50 foot border where toads are entering. If you get a 25 feet long piece (which is 4 feet tall), you can cut it in half. This will give you 2 pieces each 25 feet long and 2 feet high. You should then dig a thin “trench” along the border 6″ deep so the screening can be placed in the trench and kept secured. It will then provide a 1.5 foot tall barrier above ground over which toads cannot jump.